Building Offline-Friendly Forms — Forms on the web don’t often play nice with bad connections, but here’s an approach to making them more robust. Yes, That Web Project Should Be a PWA — .. and here’s why. Most sites can benefit from becoming a PWA — and your users will benefit too. 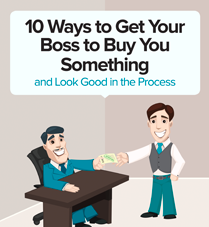 10 Ways to Get Your Boss to Buy You Something — Get Your Boss to Buy You Things ...and look good in the process. A guide to advocating for products effectively. Introducing the 'Mobile Web Specialist' Certification by Google Developers — This new certification aims to highlight developers who have in-demand skills as mobile web developers. Why Progressive Web Apps Might Be Just The Thing Microsoft Needs — Microsoft has been working to add the latest web standards features to their browser to support PWA’s. How Can You Acquire More Users with Android Instant Apps? — Instant Apps allows a user to access a cloud-based version of an app on an Android phone without installing it from the Play Store. WhatsApp-Like Location Sharing with Ionic — How to add location sharing to your mobile apps built with Ionic. Launching An App? Make App Store Optimization A Foundation For Growth — Some advice to help you get a base level of users that you can grow from. Progressively Worse Apps — The author argues that asynchronously loaded page elements can cause usability issues on slower connections. How Is ARCore Better Than ARKit? — Beyond the comparison, there is some good info here on both the basics and the current state of mobile AR. AMPersand: More Opinions on Google and AMP — Ethan argues that the argument for the AMP project based on page speed is often undercut by its privileged spot in search results. Framework7 v2 Beta — Has been rewritten with ES-next syntax, including more highly performant and functional components in the new v2 beta.